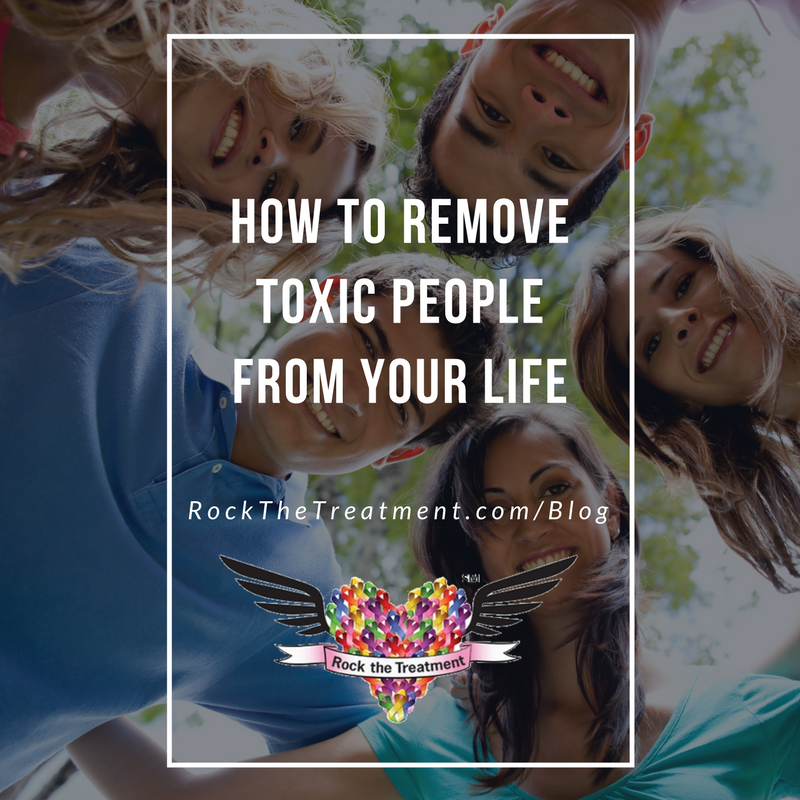 When you hear “toxic person,” it almost certainly brings a person or two to mind from your past or present. All of us have had – or still have – people in our lives that we’ve realized aren’t good for us, often pulling us into emotionally charged drama that seems persistent and unresolvable. Relationships with toxic people can be very difficult. You don’t often realize initially that the person might be a toxic influence on you, even after the negativity compounds on your shoulders. You probably feel like they need you, and they may tell you and remind you of that idea on a regular basis. And you probably think of yourself as a good person–someone who sticks by their friends even when they sometimes bring emotional unhealthiness into your life. On top of that, they tend to be expert manipulators, sensitive to your reactions and mannerisms and quick to turn the situation on you. That’s why it’s so important to stay focused on this most important fact: if you’re going to remove them from your lives, it’s not just about you. While that is true, to an extent, it’s what also tends to be most difficult for so many of us. It feels selfish. If I’m going to push someone out of my life because of how they make me feel, is that really a kind thing to do? Maybe you answer yes, in which case you probably don’t deal too often with toxic people. Those who tend to deal with these individuals usually find themselves there because they’re highly compassionate. So flip the script. It’s not about you or what you need. It’s about them and what they need. When you listen to them, indulge their antics and hysteria, allow them to control conversations, and constantly make you feel belittled or inadequate, that’s because they have a problem. A problem you can’t fix. And trying to fix it – trying to fix them – is, in truth, of greatest disservice to them, not you. It keeps them from learning to mature, to deal with their problems, and to understand how to build meaningful relationships with others. So, with that in mind, how do you remove these people from your life? Or, at the very least, how do you take a step back and draw some boundaries? Here are a few important steps to take. One of the most difficult things to realize and admit is that someone is, in fact, a poor influence on you. After all, you’re likely close to them and feel a sense of loyalty. And, to make matters more difficult, they might not even realize the extent of the effect they’re having on you. When you let someone push you around, they might even come to see you as a gift, a valuable confidant and friend. You might even garner a sense of importance from your relationship with them. However, realizing the unhealthiness of the relationship and owning that is a really important first step. No back and forth about how they mean well or how they are truly a good person deep down – just a recognition that they are having a severely negative effect on your emotional well-being and that something has to change for you to improve your own life in a healthy way. Write it down if you need to, and find someone you can trust to discuss the issue with to help boost your confidence in your final decision that something needs to be done. While ignoring them might seem like the easiest course of action, and might be necessary in some situations, it’s not best for either of you. Ignoring them or just walking away doesn’t clearly draw any lines of acceptable and unacceptable behavior, meaning that, when the opportunity presents itself, they’ll continue to act as they always have and expect you to respond as always. While you shouldn’t try to change them by pointing out their toxic behavior, you should be clear and honest with them so that they understand how they have affected you. They might not listen, and they might still berate and degrade you – but, at least, you have been truthful and have shown them kindness, even if they can’t see it right now. After confronting them, make sure they understand you were serious. They might see it as posturing, hoping that things will go back to normal. Make it very clear that things have changed, and make sure you stay aware of your own behavior if you continue interacting with them. Relationships can be habitual, and it’s not easy to change how you interact with someone on a fundamental basis. Also, they might try to make you feel guilty, maybe claiming that they’ve been going through a difficult time and just need some friendly support. It’s important not to fall into these traps. Remember, you made up your mind – something has to change. Even if, in the moment, you feel sympathetic and caring towards them, you must remember that this is the best thing for everyone involved. At the end of the day, none of this is easy. But recognizing that it’s the healthiest, best option for everyone involved and taking some solid, specific steps towards resolving the problem makes it much more manageable. LOOKING FOR A WAY TO SUPPORT THOSE IN YOUR LIFE FIGHTING CANCER? At Rock the Treatment, we believe that living a life free from negativity can help you be healthier and happier. It’s why we want to empower those going through chemo or radiation by offering helpful gifts to be given by friends and family members who care. Visit our online store today to find the perfect gift for someone in your life and help them #RocktheTreatment!